Last week I was given the delicious task of creating flavor pairings between G.H. 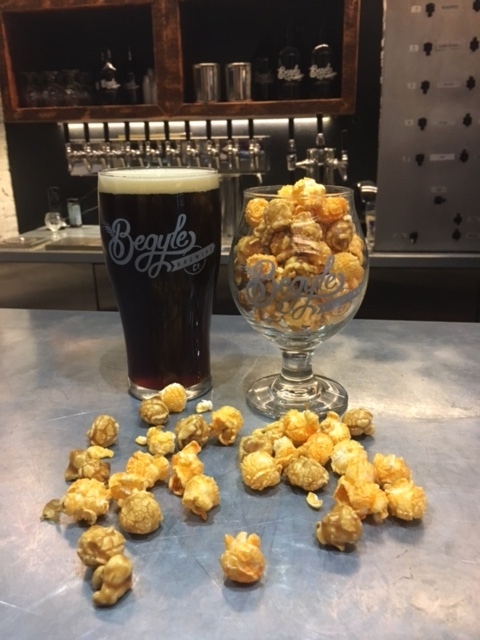 Cretors popcorn, and craft beer from the lovely folks behind Ravenswood's Begyle Brewing. Through some social media conversation research, G.H. Cretors discovered many consumers were pairing various flavors of popcorn with craft beer. It totally makes sense - beers from lagers to stouts can pair perfectly with both sweet and savory popcorn flavors. G.H. Cretors sent me to Begyle Brewing to meet with head brewer, Liz French, and chat about all things beer and popcorn. 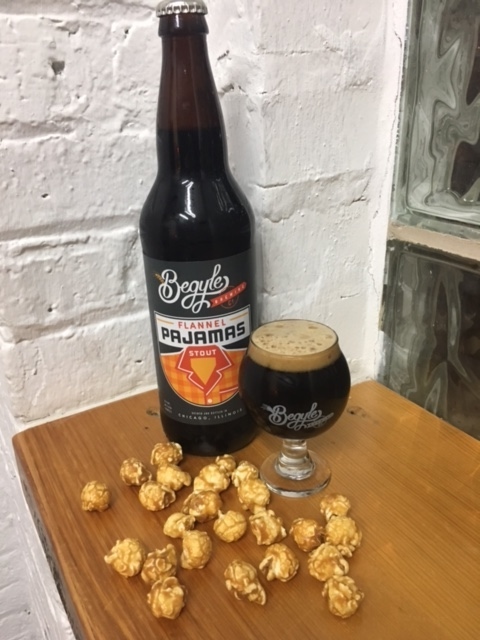 I had SO much fun coming up with popcorn and beer pairings, but really, it was just an excuse to try all of Begyle's amazing brews and stuff my face with every variety of G.H. Cretors popcorn. I have to say I'm partial to The Mix, as well as the Dill Pickle and Chile Jalapeño White Cheddar (especially the last two mixed together, trust me). While these two popcorn flavors might sound like an odd pairing, they work so well together. The Dill Pickle has a sharp acidity, that is balanced out by the spicy Chile Jalapeño White Cheddar. I chose an American Pale Wheat Ale since it's crisp, citrusy, and cools down the heat from the popcorn. This pairing was a no-brainer. The dark stout has hints of cocoa and caramel so naturally it went well with the sweet caramel corn. Pairing the English Porter with The Mix, a combo of caramel corn and cheddar corn, worked well because the beer's toffee and caramel notes blended with both flavors. The Extra Virgin Olive Oil popcorn is definitely the lightest flavor of G.H. Cretors popcorn, so it needed a beer that packed a flavor punch. Enter the J-Bird Citra Pale Ale. If you know me, you know that citra hops are my jam. The citrus fruit flavor of the pale ale is great with the mild olive oil popcorn. 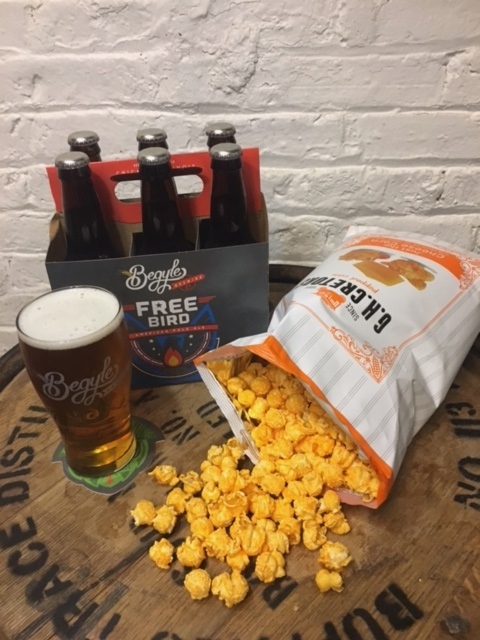 Lastly, the Free Bird American Pale Ale has hints of lemon and malt, so it worked well with Just the Cheese Corn which has a strong aged cheddar flavor, that can have a slightly sour finish. After my beer and popcorn tasting, Liz took me on a tour where I learned more about the brewery. 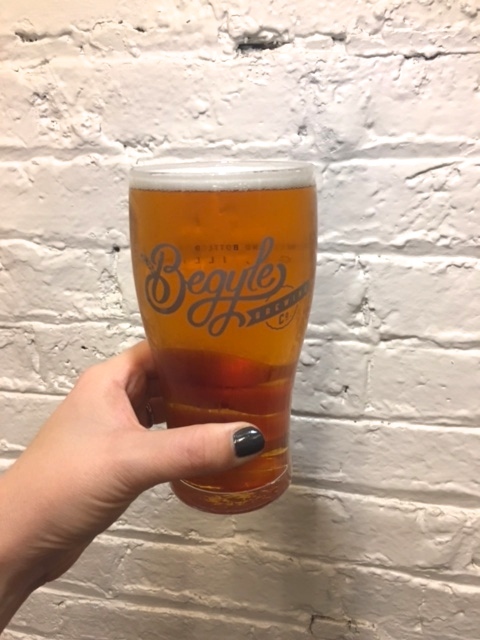 Begyle got its start in 2012 when it was known as Argyle Brewery for a short time...until they were told they had to change their name by a winery with the same name. Apparently it was too deceptively similar. So what did they do? They changed their name to Begyle Brewing because Begyle means to charm, trick, enchant or deceive. Talk about clever! 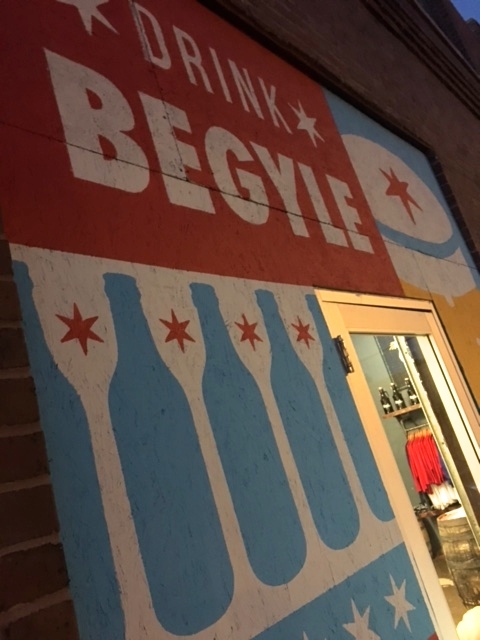 Begyle only distributes within the Chicagoland area but has increased their production from 75 barrels in 2012, to an estimated 2,000 barrels in 2016. The brewery operates on a staff of 11, none of whom had experience brewing commercially before. 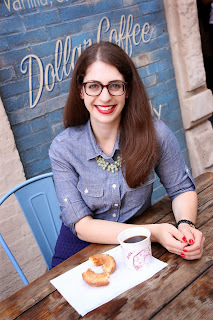 In fact, Liz's background is in microbiology and she learned how to brew when she joined the Begyle team. We walked through the brewery as she pointed out the bottling machine, brewhouse, and fermentation tanks. 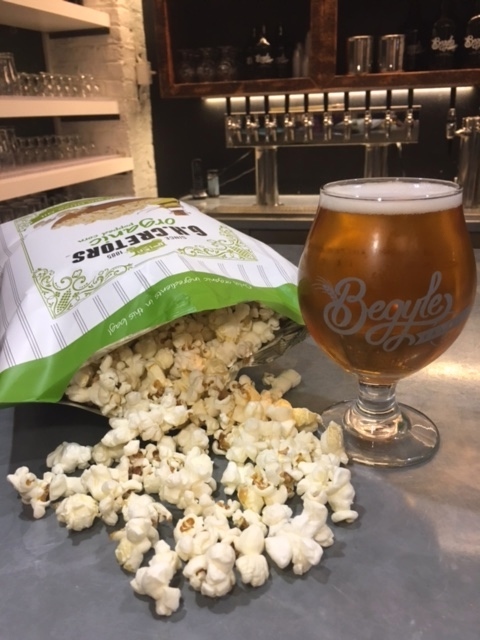 I had a blast hanging out with the team at Begyle Brewing and coming up with tasty craft beer and popcorn pairings! To find out where you can purchase G.H. 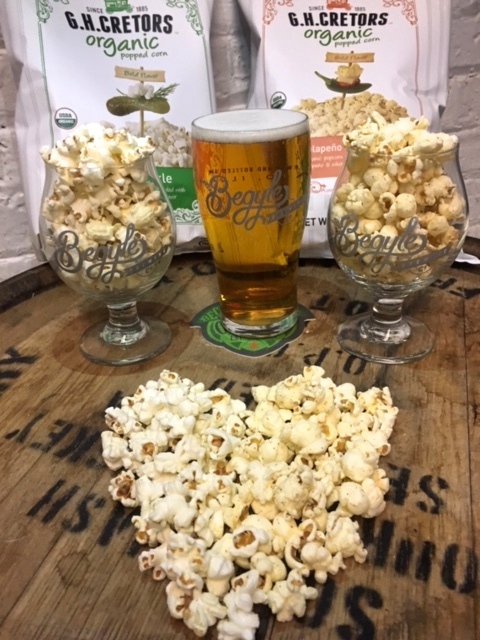 Cretors popcorn, visit their store locator and be sure to stop by Begyle Brewing's taproom in Ravenswood for a pint or two (and popcorn samples, while supplies last)! Note: This post is sponsored by G.H. Cretors, however, all opinions are my own.